Proper preparation makes for excellent emergency locksmith services. We are ready for anything! Our emergency locksmiths come fully equipped with vans that include the latest in emergency locksmith tools and technologies. From state of the art key cutting equipment, a supply of automotive and residential locks on hand and the latest in locksmith tools, you can feel rest assured that when we arrive on scene that we will be able to help you. Trust the best tools and emergency locksmith service in all Austin TX. 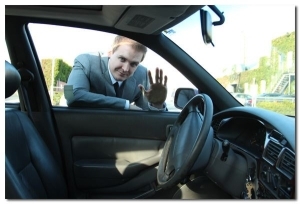 No matter if you are stuck on the side of the road with the keys locked inside of your car or if you have just had a commercial break-in we will help you. Top quality service! Relax, we are your emergency locksmith service in Austin Texas. Most people cannot think of a more frustrating day-to-day mishap than when you need the services of an emergency locksmith. Relax, you’ve got Henry’s Locksmith on your side. When you need emergency locksmith services in Austin we get there fast! When you need an emergency locksmith you do not have time to wait and wonder. Look no further because you have just discovered Austin’s premier emergency locksmith. We have lightening fast response times. Now that is fast response! Our emergency locksmith is the top solution for anyone who needs a car lock service immediately. If you have locked keys inside of your car or lost keys altogether, the last thing you need is to feel stranded on the side of the road. Instead, call our emergency locksmith staff at 512 400-0004. Upon receiving your call, we can send a licensed car lockout service to unlock car door or extract broken keys from the door of your vehicle. Our technicians can also provide you with a car key copy or full car key replacement so that you can get back on the road quickly. For more information about our lost car key replacement service or to order a set of replacement car keys, call our emergency locksmith representatives at 512 400-0004. Even if your car emergency involves more complicated issues such as the ignition, our emergency locksmith service has the training to meet your needs. For example, we can perform an ignition rekey for both domestic and foreign car models. With this ignition rekey, you can keep your existing hardware while using a new set of replacement car keys so that your engine starts up like new. We can also make sure to have this new set of keys programmed so that you are never left out in the cold. Regardless of whether you are working with a manual or electronic transponder system, we can also make sure to have your chip keys programmed for proper operation. And in addition to a new car key replacement or lost car key replacement, we can provide a car key copy or chip keys duplicate to ensure that you are never without a spare set of replacement car keys. The chip keys duplicate also comes in handy if more than one loved person uses your vehicle. If you need us to unlock car door or provide more information about this car lock service, call our emergency locksmith technicians at 512 400-0004. Our services can also help with more complicated systems such as an emergency garage lockout. Regardless of whether your garage uses a manual, electronic, or sensory system, our skilled technicians can help you get back into your garage or home. With today’s smart home technology, many garages and cars use integrated keyless remotes. Our locksmiths can have your chip keys programmed to keep your integrated system working properly, and they can also supply a chip keys duplicate so that you are off and running in no time. For more information about this chip keys duplicate or related services, call us at 512 400-0004.